October 16th, which I referred to as Black Tuesday in a post earlier this week, was really more like light gray. On that date, new money order and bill pay procedures and policies from Walmart corporate were set to take effect. At first glance, those changes seemed to be significant and have a dramatic effect on people who earn points through manufactured spend (MS). However the actual effects have proved different. I’ve visited half a dozen Walmarts in my local area since the changes took effect, and also had feedback from others outside my area, and the overall impact seems to be negligible thusfar. In essence, it’s business as usual in the Money Center for points runners. While inside a local Money Center yesterday, I noticed a few new printouts at one of the terminals. One was a colorful, high level document that I couldn’t quite see and the other was the one that I’m sharing below. It’s a bad copy, sorry. Blame Walmart…! It confirms that when customer information is captured electronically (right now that appears to be only for transactions totallying $3,000 or more), it is done so in an eMSAR (Electronic Money Order Suspicious Activity Report) form. The transaction amount ($3k) that is currently prompting the eMSAR is different than the $1k amount that is stated on this document (above) and also in the new procedures memo that was sent form Walmart corporate to stores nationwide. That may mean that the current ($3k) amount could be changed/lowered to $1k sometime in the near future. 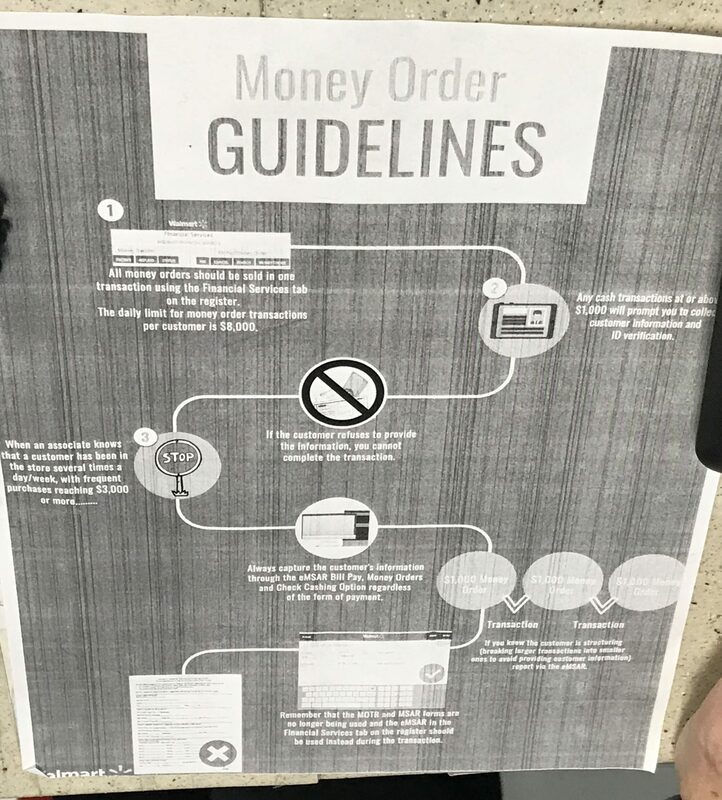 The MOTR (Money Order Transaction Report) and MSAR (Money Order Suspicious Activity) paper forms are “no longer being used”, even though the MOTR form is still being used at some stores around the country for individuals transacting money orders over $3,000. The new procedures and MoneyCenter changes from Walmart corporate are meant to curb structuring and money laundering, which are both illegal financial methods that do take place in Walmart and similar stores. Unfortunately, the bad guys sometimes use similar methods (debit/gift cards) to people just trying to earn miles and points for travel. 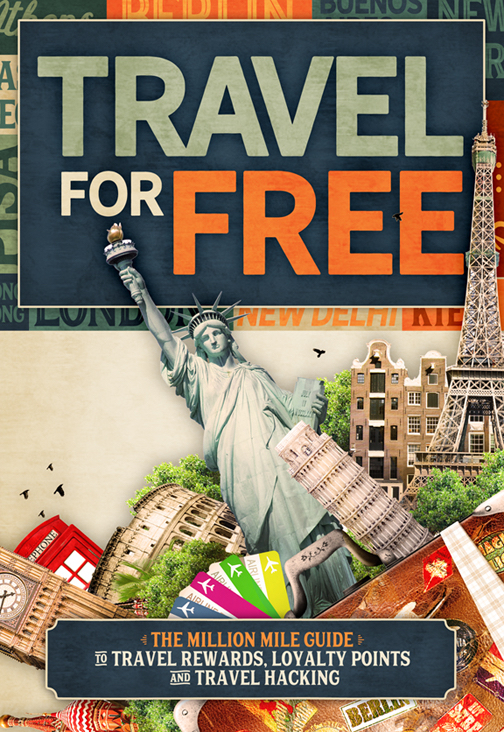 Points runners who use a points earning credit cards to purchase debit (gift) cards are not structuring and money laundering, they are simply purchasing travel rewards (frequent flyer miles, bank points, hotel points, etc.). Unfortunately, Moneygram and Walmart have a difficult time knowing (or sometimes caring) who is doing what for what purpose. If I were to guess, I’d say that the new policy changes from Walmart corporate are being driven more by MoneyGram than by Walmart itself. That’s a guess and I’ll probably never have concrete proof, but the fact that money orders do bring in “pure profit” (as one service manager put it), because MoneyGram has recently halted or curbed the use of manufactured spend in Walmart and other similar stores nationwide, and because Walmart leases MoneyGram technology, are all reasons that point to that idea. Recently a Walmart manager told me about training in which corporate stressed “Walmart One”, or having uniformity across all business lines at all stores nationwide. New procedures and policy memos from Walmart corporate to stores isn’t new by any means, but in terms of money orders as it relates manufactured spend, stores are still essentially be allowed to operate independently. Some stores allow customers to use multiple debit (gift) cards in large volume, while others don’t allow any at all. I suspect that if Walmart really wanted to do away with people coming into its doors to earn frequent flyer miles from the use of debit (gift) cards, it could do so quite easily. Right now the new procedures that affect how people who engage in manufactured spend inside Walmart MoneyCenters aren’t as limiting as initially thought. Does that mean that new, tougher changes aren’t on the way? I have no idea, but for now things are close to “normal” for most people. For those people in areas that have stores that don’t allow the use of prepaid PIN enabled debit (gift) cards, it might be a good time to speak with a customer service manager or front-end manager about the latest money order procedures that were sent from Walmart corporate. Those new procedures may allow some leeway for debit cards to be used at that store.